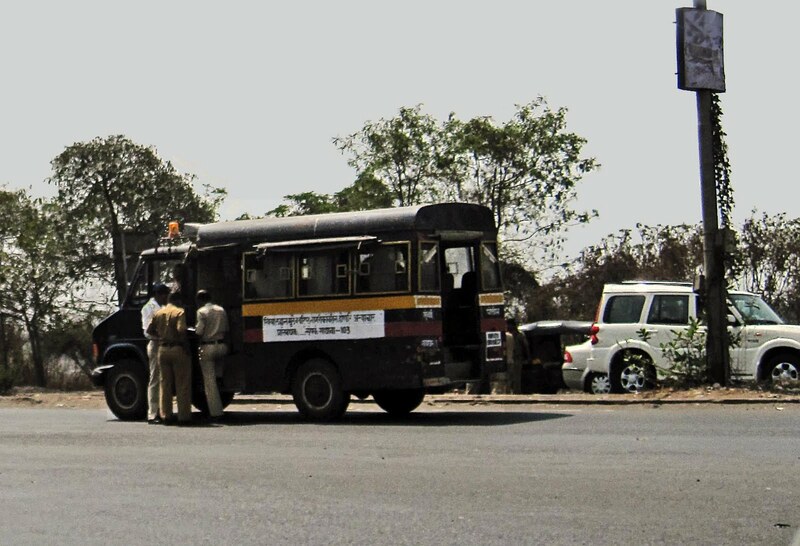 These are images of police vehicles in Mumbai, Maharashtra. 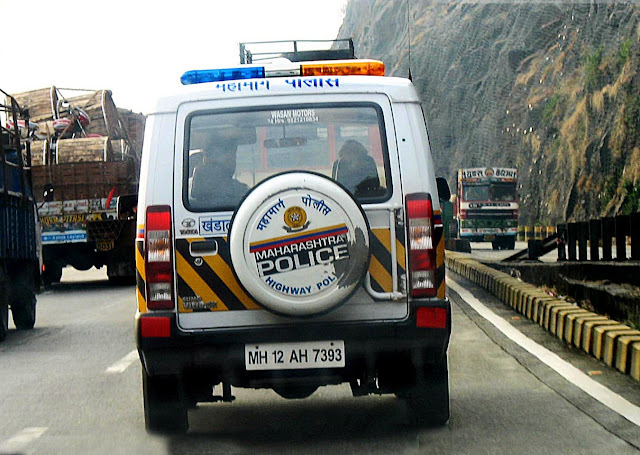 Police Transport in India. 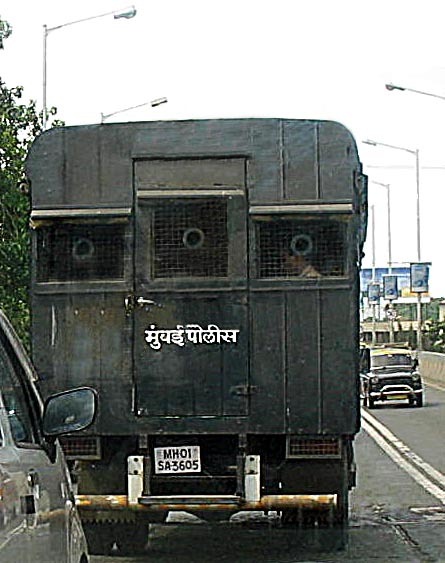 This one is a police van with iron nets or iron window guards on the windshield for protection. 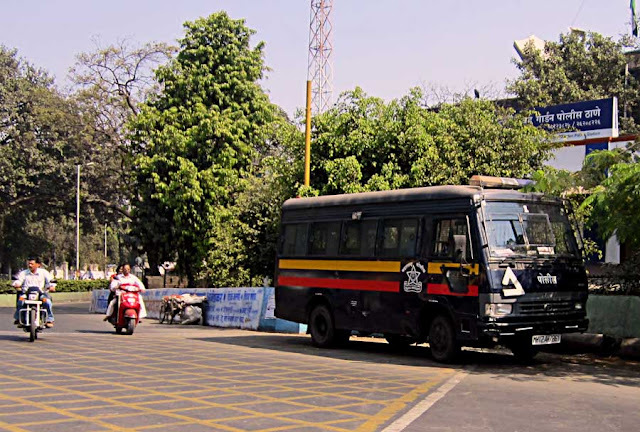 A long shot of police transport. This is a police truck used to ferry either policemen or prisoners. A close-up of the police van used to transport prisoners. The vehicle windows are barred with an iron mesh, and the windows are high, near the roof of the vehicle. 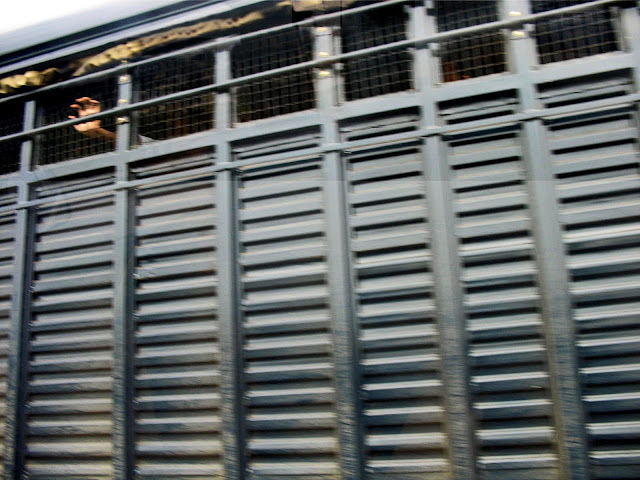 The hand of a prisoner can be seen pressed against the barred window of the police van. 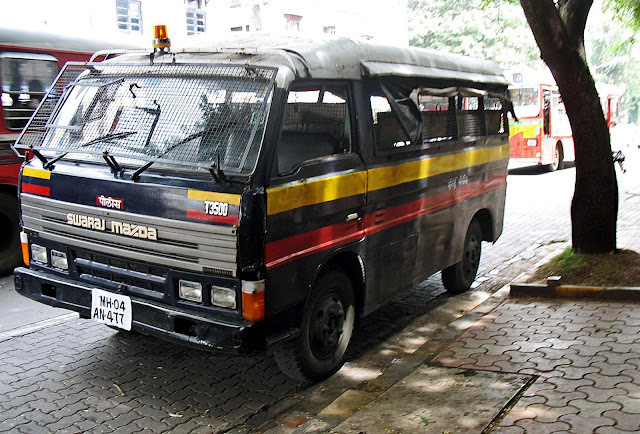 This is a police truck used for transport for its own personnel. A few policemen are seen standing around it. It has been parked on the side of the road during a bandobast or roadblock. This is a Maharashtra police jeep on the Mumbai-Pune Expressway. Or more related pictures try "Security"
nice shots of Police vehicles.